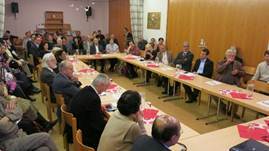 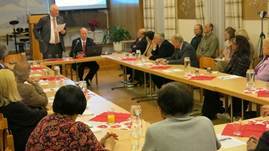 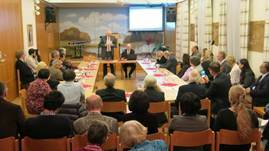 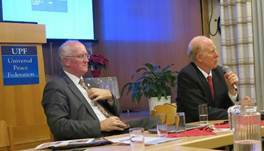 Vienna, Austria - More than 70 Ambassadors for Peace and good friends attended on Dec. 7th 2014 an “Ambassdors for Peace“ reception and a special lecture given by the president of UPF International Dr. Thomas Walsh. 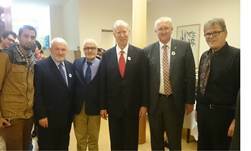 He was on a short visit to Vienna after attending a conference in Chișinău, Republic of Moldova, on “Eurasia & Europe: Dialogue for Peace”. 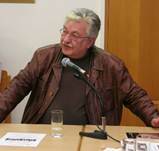 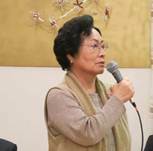 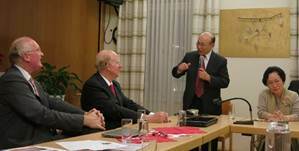 His topic was “Activities in 2014 and Perspectives of UPF International”. 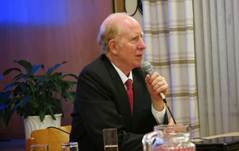 With academic training in the field of religion, Dr. Thomas Walsh earned his Ph.D. at Vanderbilt University. 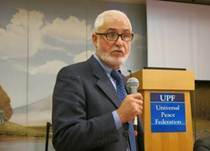 He has been a teacher, author, and editor with specialization in areas of interfaith, religious studies, peace studies, philosophy and social theory. 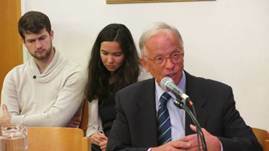 He serves on the International Council of the World Association of Non-Governmental Organizations and on the board of directors of the International Coalition for Religious Freedom. 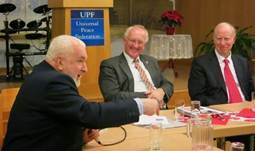 He has contributed to and edited more than 20 books related to interfaith, peacebuilding, and renewal of the United Nations; among these volumes are Renewing the United Nations and Building a Culture of Peace and The Millennium Declaration of the United Nations: A Response from Civil Society. 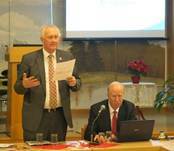 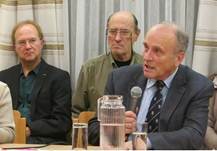 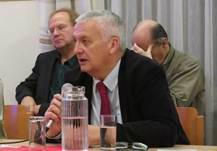 Dr. Leo Gabriel (right) reported about the conference “Eurasia & Europe: Dialogue for Peace” in Moldova.